Quality birds in various including rare colours. Advice freely given. Eggs to POL. We have a variety of fully vaccinated POL chickens for sale, including accessories and feed. Plus traditional wooden chicken coops, and the plastic easy to clean Eglu Go and Cube from Omlet - all housing in stock and available to take away. Everything you need in one place. Viewing by appointment, give us a call TODAY! The bantams are mainly Free Range and wormed regularly. Hatching eggs usually & growers sometimes available. Egg laying chickens for the urban garden. We are situtated in Ashford, Middlesex / Surrey - 5 minutes from Junction 1 M3 - Junction 13 M25. Please contact us to reserve your birds before travelling. All our birds are p.o.l vaccinated and wormed. Prices from £13 -£30. Ducks sexed from day old, Available all year. Hatching eggs available from all. Fully vaccinated Point of Lay hens. These are beautiful birds that will give your family hours of pleasure. They are an ideal choice of chicken if you have not had chickens before. 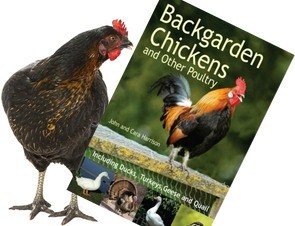 Well established breeders of chickens and ducks. Poulty is by collection only by prior appointment. We also stock everything you need to look after your chickens. Campbell Ducks, Small Family run Breeder. Personal one to one appointment basis. Free advice.